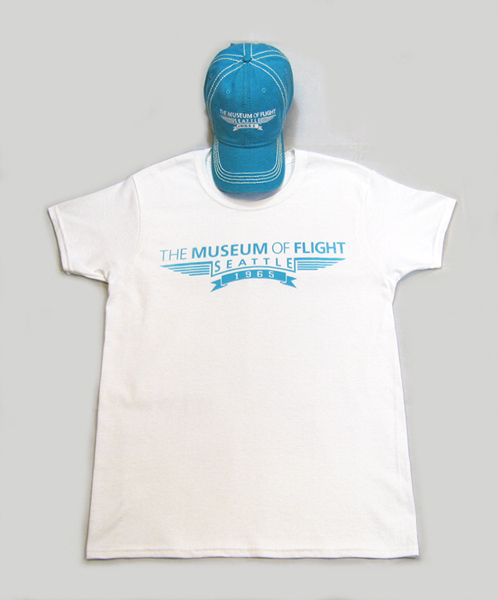 The Solo Flight 1965 Ladies Wing Tee and Cap set is a 2 piece cap and t-shirt set. The light grey shirt features a wings design in boysenberry purple ink with The Museum of Flight Seattle above and 1965 below. The boysenberry adjustable cap has the same wings design embroidered in white. The shirt is 90% cotton and 10% polyester. The set is available in adult SM-2X.